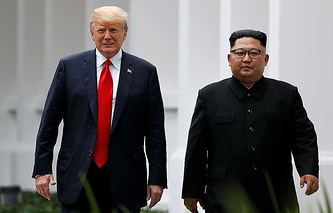 The second summit between US President Donald Trump and North Korean leader Kim Jong-un is set for February 27-28 in Vietnam. Each side and the entire world hope that the meeting will yield particular results. Washington wants North Korea to list all of its nuclear facilities; in exchange, Pyongyang would anticipate the removal of sanctions, and receive economic aid. However, experts questioned by Izvestia say neither side will get what they want, but small concessions in order to maintain the fragile peace on the Korean Peninsula are in the cards. This time the two leaders are expected to come up with a detailed plan of action. The key goal of the United States is to achieve a full and irreversible denuclearization of North Korea within a particular timeframe. However, it’s clear that Kim Jong-un won’t accept that, Jeff Kingston, Director of Asian Studies at Temple University in Tokyo told the paper. 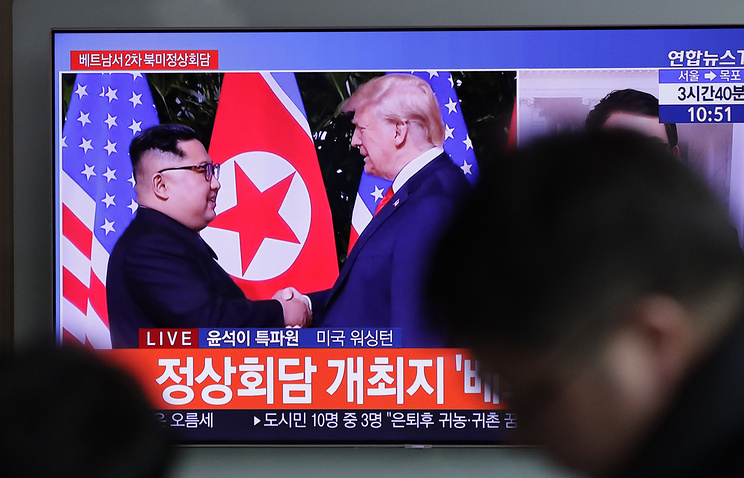 The expert also noted that Washington’s recent withdrawal from the Intermediate-Range Nuclear Forces Treaty was a hint for the North Korean leader that the US is not committed to any deals. Pyongyang won’t abandon its nuclear program, said Narushige Michishita, Director of Security and International Studies Program at Tokyo’s National Graduate Institute for Policy Studies. However, Pyongyang may agree on allowing inspectors into the country and freezing nuclear reactors, for example at the Yongbyon nuclear facility as Kim had suggested earlier. In its turn, the Trump administration could promise to expand humanitarian assistance and temporarily lift sanctions on a number of projects on inter-Korean economic exchange, including the Kaesong Industrial Region and tourist excursions to the territory near the demilitarized zone, Go Myong-Hyn, a research fellow at the Asan Institute for Policy Studies, said. Washington may also "sugar the pill" by promising to halt or even cancel large-scale military maneuvers with Seoul. Meanwhile, the major sticking point is that the sides have different approaches to what full denuclearization of the Korean Peninsula means, the paper says. While Washington says this implies North Korea’s full elimination of weapons of mass destruction, Pyongyang says this should include the US removal of its nuclear umbrella over South Korea and a potential pullout of strategic bombers from Guam. Since this US policy is aimed at countering China’s geopolitical rise, the odds that Washington would ever agree to this are practically zero. US President Donald Trump is not brushing aside the prospect of signing a new Intermediate-Range Nuclear Forces Treaty, which should also involve China since the country’s arsenals are not subject to any restrictions now. Experts believe that Beijing won’t accept this deal and only certain circumstances could push it towards that, Nezavisimaya Gazeta writes. Over the past years, China has produced an alarming number of missiles, which the United States was not allowed to have under the INF deal, according to the paper. After Trump’s announcement on suspending participation in the arms control treaty with Moscow, Beijing lambasted the decision, calling on Russia and the US to sit down at the negotiating table. The proposal for a new treaty is in the spirit of Trump’s philosophy, which throws into question all US deals under the motto: "all earlier agreements were wrong, and I will sign the right ones," Chairman of the Council for Foreign and Defense Policy of Russia Fyodor Lukyanov told the paper. "This is unreal because China does not even want to hear of any talks on this score and is pretending that this doesn’t concern it," the expert noted. However, he did not exclude that another situation could occur forcing the Chinese leadership to sign a multilateral arms control deal, but special conditions are needed for this. In particular, the situation surrounding Taiwan, where the US could boost its presence in order to exert pressure on China or another military and political situation, which could affect Beijing, Lukyanov explained. Should Trump or his administration suggest linking armaments to trade ties, which are a priority area for Beijing, China could in theory agree on signing the treaty in exchange for concessions in the trade war with the US, he said. There is no data on the exact number of Chinese missiles, but "even according to hypothetic assessments, these arsenals are significantly smaller than those of Russia and the US." NATO is on the verge of expanding even further. After completing all procedures, Macedonia will become the alliance’s 30th member. 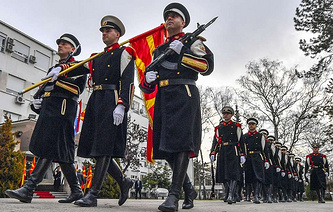 Expectations are that Skopje’s membership in the alliance will help it ensure domestic stability and bring it closer to joining the European Union, RBC writes. Russia has expressed its discontent over Macedonia’s bid to join NATO calling it a mistake. Moscow has also condemned the country’s Prespa Agreement with Greece, stipulating that the former Yugoslav republic will change its name to the Republic of North Macedonia. 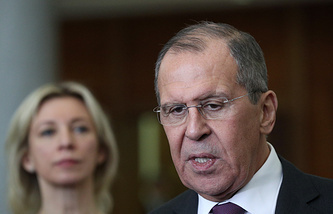 Russia believes that the treaty had been imposed on the sides by external forces, noting that the Macedonian government ignored the opinion of President Gjorge Ivanov, who opposes the idea. Although Moscow has never had serious interests and levers of pressure on Macedonia, its standoff with the West is becoming ambitious, Deputy Editor-in-Chief of Carnegie.ru Maxim Samorukov told the paper. However, Russia won’t be able to prevent Macedonia’s accession to NATO. Throughout history, Russia has stuck to the motto of "The Balkans for the Balkan people," Senior Researcher with the Institute for Slavic Studies at the Russian Academy of Sciences Pyotr Iskenderov said. Russia believes that the Balkan people should have an opportunity to decide on their foreign policy priorities and their names in order to prevent potential outbreaks of violence. According to military expert Alexander Golts, Macedonia’s NATO membership is a first step towards joining the EU. This will provide Skopje with security and stability guarantees, he noted. "NATO members are not at war with each other, and we know that the countries of the former Yugoslavia have many inter-ethnic problems." 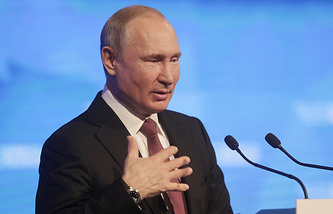 Russian President Vladimir Putin has announced plans to extend the existing capital amnesty program for at least another year, which is designed to encourage the return of capital. Citizens living abroad will be able to come back to the country without facing any tax or other penalties, Nezavisimaya Gazeta writes. Putin rolled out the idea of returning capital back to Russia in 2002, encouraging businessmen not to keep money in offshores. Amid Western sanctions and the deteriorating international situation in 2015, the legislation was described as a call to patriots to consolidate their capital in the motherland, the paper says. The first stage of the amnesty was in effect from July 1, 2015 until June 30, 2016, and the second stage began a year ago. However, the outcome was rather contradictory. According to a Reuters poll carried out in 2017, most Russian businessmen prefer to keep their capital outside of Russia’s jurisdiction. Moreover, nearly one-third of Russia’s 500 leading business figures left the country after the law came into effect. Meanwhile, experts questioned by the paper note that there are still chances that a mass repatriation of capital will take place. "It is noteworthy that amid the worsening ties with the West of late, the mechanisms of sanctions pressure on Russian residents have resulted in their funds being fully frozen. Many prefer to avoid this risk," a leading analyst of AMarkets company Artem Deyev said. Chief Economist at BCS Global Markets Vladimir Tikhomirov believes that no major capital return is on the horizon. "The key reasons for capital flight are uncertainty by investors in defending their money injections and tax evasion, and the extension of amnesty won’t change that," he said. The expert pointed to another contradiction: while seeking to return capital, the Russian authorities are not interested in improving ties with businesses by creating a strong and independent court, reducing the state’s role in the economy or ensuring a transparent and stable tax regime. "The courts almost always back the authorities’ position, the state is only tightening its control over the economy, while tax and other conditions for conducting business are changing all the time," he noted. Russia’s energy giant Gazprom has not fully given up on the notion of building the Iran-Pakistan-India pipeline despite the reinstated US sanctions against Tehran, Kommersant business daily says. The company has signed a memorandum with Pakistan’s Inter State Gas Systems (ISGS) on conducting a feasibility study for "gas supplies from the Middle East to South Asia." The document was inked in the framework of the September deal between the Russian Energy Ministry and Pakistan on building the 1,200-km Iran-Pakistan-India maritime gas pipeline. Gazprom signed a similar memorandum with Iran’s NIOC in November 2017. However, sources in the sector do not believe that these steps signal plans to bolster the project since it is fraught with both political differences between regional states and the risks of sanctions. Even the initial stage of carrying out a pre-feasibility study may take several years, one of sources in the sector told the paper. For Gazprom, which is simultaneously fulfilling two large-scale projects - Nord Stream 2 to Germany and TurkStream through Turkey to the EU, the Iran-Pakistan-India gas pipeline apparently won’t be a priority, the paper writes. 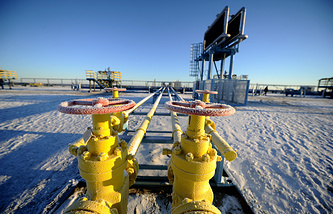 "Currently, there can be no talk of building the gas pipeline, this only concerns carrying out a feasibility study," Deputy Head of Russia’s National Energy Security Fund Alexei Grivach said. The major stumbling block is the US pressure on Pakistan and India with the goal of keeping Iran isolated. Meanwhile, for Pakistan and India, this project is a very attractive solution to their energy supply problems and it could also ease tensions between New Delhi and Islamabad, the expert added. Moreover, the agreement with ISGS won’t affect Gazprom as Pakistan is not targeted by Washington’s punitive measures, he noted.